3d printing has developed far beyond a trend by now. Potential applications are manifold, ranging from medical gear to entire houses. And now you can even have a detailed replica of yourself printed in a variety of sizes, a kind of 3D printed Mini-Me, to give it away to your friends or just place on your shelve to keep a memory of your young, energetic self for the decades to come. In Germany, there are several companies offering this service. I used Doob, or Deep End Productions, located in Duesseldorf, Germany. Founded by Vladimir Puhalac and Torsten Bernasco Lisboa, the companys offers 3D photographs to everyone. While standard sizes go from 15 to 30 coms, you can also get a lifesize figure (for 15K Euro onwards, the 30cm version go for about 300 Euros). All you have to do is to show up in their studio and be photographed from all sides, simultaniously, by a 50 cameras (this process is called Photogrammetry"). These pictures than are transferred into a 3D model, which then is hand-modelled into the final 3D file. This file then is placed on a standard 3D systems prototyoing machine that can print in full color. The founders are coming from the medical field and have a strong background in 3d modelling. Their first company is providing replicas of ears, noses, and breasts to unfortunate patients who lost these bodyparts. With this background, they discovered the stereo litography, and developed a quite efficient procedure to develop your "doppelgänger". After the photograph, a 3D model is created that then is manually prepared for the final print. While the later procedure takes about 2 hours, I believe it can be brought down. They now opened a first store in Duesseldorf, but plan to enter the US and Japanese market, too, within the next months. The result is really stunning, and while I belive that in general people like to see themselves, it really is a great feeling to have yourself as a mini-figure. But also everyone else found this really cool. Established market. Our parents all used to go once every few years to a professional photographer for a family picture. While this market has almost disappeared, this 3D printing service may foster its revival. Fast. The print is based on a photograph, not a 3D scan. This means you can also have a child, dog, or something similar quickly moving on your arm. The quality is really stunning. You can see the pattern of your t-shirt or even your tatoo perfectly (I almost feel sorry that I did not have a tatoo to be printed on my figure). Prices will go down rapidely. While the current price of 200-300 Euros is quite high, there is plenty of room for adjustments (I estimate that material costs are below 10 Euro). Local production: While delivery in the moment takes a couple a weeks and is done in a central facility, production can be brought down to a couple of hours, opening an entire new market in malls and amusement parks. So when you have the chance and like to experience a reall fun application of 3D printing, then get your doob, too. A little while ago, Austrian media specialist cyLEDGE Media has released a new market analysis about product configurators and mass customization. The Configurator Database Report 2013 is a status quo analysis of 900 international web-based product configurators. The Configurator Database (www.configurator-database.com) was opened in 2007 to give an overview about the world of product configuration. Since then it has been constantly extended and updated and thus grew to the largest collection of web-based customization tools. A lot of those entries were also used for our mc500 study. Together with his team, Dr. Paul Blazek, CEO of cyLEDGE Media has now published the Configurator Database Report 2013, which contains information about all 900 mentioned configurators. Every configurator is listed with a full profile, including a screenshot and an evaluation of different criteria. Besides basic criteria like industry, product type or country, the report also contains data about visualization type, tutorial, support and social media usage. “This report is the result of a long and ongoing journey to understand the future of customer and company relationships in the age of customized products and interactive communication”, says Paul Blazek. The detailed evaluation of all collected data gives very interesting insights on the market of product configuration. A new approach is the examination of the usage of social media in connection with configurators. The analysis shows that more than two thirds of all companies running a configurator have a Facebook site and over the half uses Twitter. It also shows how this number varies according to different countries or industries. Nevertheless, when looking at the intensity of the usage there are a lot of unexploited potentials. The Configurator Database Report gives a very extensive overview about the whole mass customization market. It is an excellent source to everyone who wants to start an own configurator business or wants to be informed about the fast-moving world of configurators. The paperback version of the report is available on www.lulu.com. For a preview and further details visit www.configurator-database.com/report2013. Our friends at embodee have recently conducted a very interesting interview with Thomas Davis, global head of e-commerce for PUMA. To share his views with you, embodee sent us the following guest post, with excerpts from the original interview, that we recommend for a number of interesting insights. Embodee: What are the most significant challenges for apparel companies like PUMA in this omni-channel sales world? There’s certainly a lot being written about it. Davis: It depends on what kind of company you are. I’ll boil it down to just PUMA and the wholesale channels because this is a landscape of your retail and wholesale channels; and obviously your wholesalers are partners and clients too. Secondly, the brand has to decide what is the balance between sales and marketing. So it’s a complicated dance to figure out, and there isn’t one right or wrong answer. Further, how do you get these channels to work in concert while still balancing the needs of marketing and brand? Making sure that all of these business interests—everything—work together and complement each other is much easier said than done. Customers don’t care or understand the internal conflicts. Nor should they. Customers simply want what they want, which in our case is our product and our brand experience. Customers don’t think in terms of business units or channels. They think in terms of product and buying that product as easily as possible. Trying to find that multi-channel synergy is really, really hard because traditional brands like a PUMA or anybody of this size that has grown as a traditional wholesaler aren’t prepared for some of the changes happening in the retail world. Some of the rules for the last 60 or 70 years are breaking down. And what took decades to establish is now being broken down in months as the speed of the digital world is accelerating. Example: Rocket Internet. They are basically copying the Zappos model outside the U.S. and growing their business to billions in revenue in just a year or two, which is x-fold faster than Zappos, which was x-fold faster than traditional wholesale distribution. It’s jaw-dropping how fast everything is evolving, especially outside the U.S. What retail looks like in five or 10 years, who knows? But you’re seeing examples of companies trying to find their way in this marketplace. Some are doing well at it and some aren’t. Embodee: Speaking of those challenges, how does your vision for e-commerce address them? Davis: For PUMA specifically, we have to attack the market in a very focused way because the reality of our situation is that we can’t compete on price, meaning we can’t be the lowest price out in the market. That’s just kind of cutting ourselves off at the knees. Further, we don’t have the luxury of running a break-even business, meaning we can’t put all of our operating expenses toward overnight shipping and service. Yet, we are consistently compared to those digital players. But that is the reality we live within, and we have to find creative ways to be relevant. So I try to look at where can we compete and compete effectively. One is product content. I believe we must have world-class PUMA information about our products (photography, copy, content, digital assets, etc.). We also should have the most comprehensive, user-friendly experience for shopping decision-making in the digital world. We hope that our PUMA experience will be better than an Amazon’s “shop in shop” presentation for PUMA, and better than a Zappos, for example. Specifically, as a retailer we don’t have much control over the presentation of our products in our partners’ stores/marketplaces. We’re losing brand control, if you will. Search Google for “puma suede” and you will see the varying degrees of photography/presentation. Some good, some bad. Theoretically, we should be able to showcase our products in our store in the best lens possible, and we will aim to do this over the next few seasons. One of our key strategies is product information management. We’ve spent a tremendous amount of effort and time over the last two years honing these skills internally. Unfortunately, it’s generally a behind-the-scenes kind of project. The only in-front-of-the scenes result of that is really the output of a website and customers interacting with that information. But I believe that’s a cornerstone of our strategy. The other cornerstone is product selection. If we’re selling the same exact product as Amazon, and if they’re going to beat us on price and service and be comparable on product information, then we’re still going to lose. Probably nine times out of 10. But if we can create a product assortment, develop product awareness, product depth—whether its size, color or make of material—that’s different than what’s in the wholesale channel—then we have an area for competition and a reason for customers to come to our online store. So between world class product content and offering a product selection that’s different or at least complementary to what is in other channels, that’s where we can play and immediately be competitive. Embodee: How does mass customization fit in from your perspective? Davis: When you start thinking about a diversified product strategy in terms of more SKUs, more colors, and more options, you start running into liability. Meaning, you have to front load cash flow to pay for inventory/product that might sit on shelves for weeks if not months before it’s purchased and your return on the investments is recouped. It’s the long-tail game. When you’re trying to keep your margins high and your turn ratios high, it’s a very difficult one to balance. Creating lots of inventory that sits on shelves all over the world is just basically money sitting there that can’t be allocated toward other business-enhancing projects. The turnaround time on product is probably a year lead time for some companies. That’s a long time to tie up money, especially when there’s no guarantee in the world of fashion. You’re taking physical bets on what the trend or the style will be a year from now, and who knows whether Jay-Z comes out with a new record, Justin Timberlake does something, or Taylor Swift wears a pair of PUMAs in her video. It’s serendipity to some extent (or really good product placement—hah). So when I start thinking about those kinds of constraints I start to look at on-demand products. What’s better than being able to create something on demand and eliminate those upfront risks? To develop products, colors and/or styles that may mean nothing to the customer a year from now, you end up with excess product. This is what happened in 2008 when we hit the recession and companies were left with shelves full of product which needed to be liquidated. The only way to push that amount of excess product is to flood the market and discount like crazy. That is not sustainable from a business perspective. So I start to look at on-demand or mass customization as a plausible solution for a company like PUMA, which answers a lot of our financial challenges. But it allows the consumer to dictate freely what he or she wants. That’s liberating for a business owner and also creates desire from consumers, which gives us a great competitive advantage—provided we do something really cool for the brand, that’s PUMA-fied, that the consumers love. I see that as a pinnacle piece of our strategy going forward, and I think it will be so in the retail industry for years to come. Look at the entrants into this new paradigm: Threadless, Zazzle, NIKEiD, miadidas, New Balance, Timberland, Converse, etc. etc. The list grows every month. It’s happening in myriad industries as well, so it’s not just limited to footwear and t-shirts. More examples: Shutterfly, ForYourParty.com, L.L.Bean, the lists go on. Remember Dell Computers? Designing your own computer system was a breakthrough. I’ll fully admit that PUMA is late to the game. We only recently launched PUMA Factory, our first crack at online customization. Currently, it’s live for the U.S. and Germany. We believe it’s still in “beta” stage, and over the next few months we will determine if we’re on the right track operationally as well as from a presentation point of view. The opportunities are amazing if we get the block and tackling done. People pay a premium for customization. They expect to have to wait for it to be made, so the immediate gratification may not be there, but it’s still quick and it’s individually driven. Dare I say, a younger generation? They want to stand out, they want to be unique, and that’s just in the U.S. Once you start going global with these ideas, your ability to function with less risk—less cash flow volatility—it’s potential, it’s plausible. It could be fantastic on so many levels for the brand, like PUMA, as well as for the customer. It still needs to be proven, but I think you’re seeing companies like the NIKEiDs of the world going this way. I think you’re seeing the Zazzles having done really well. Threadless. There are the big retailers trying to do it like H&M or even Zara. This is the way you can close that timeline to market. I think it’s the future—part of the future—of retail at least. I think it has to be. Embodee: You mentioned young people. They have an expectation that they should be able to order on demand or customize because they’ve grown up with that option in other arenas. Almost everything they do is customized whether it’s music or pick your topic. The question is what companies are going to truly embrace that? If you’re buying a year ahead, you can support putting product on a boat and letting it ship from China to the U.S., and that takes six weeks. That’s all gone when you go to this model, you’re just speeding up the processing chain, but it is completely doable. This may be a reach, but Ford was the first to create the assembly line for cars. This was a drastic and radical step almost a 100 years ago. There is nothing stopping retailers, like PUMA, from making a radical shift in the production pipeline if it will not only solve a company’s cash/investment challenges but (even more importantly) satisfy the customer’s want and need. I think there is an old adage that says something like, “The customer is always right…” This is truer now than ever in the world of customization. The original interview and a lot more about embodee can also be found at the embodee website! From 8th to 12th of April 2013, famous trade show HannoverMesse will take place in Hannover, Germany. Are you going to be there? Great! So will I. The German Federal Ministry of Education and Research (BMBF) will have a large exhibition stand in a prominent spot (hall 2, stand C24) and has invited my research group at RWTH Aachen University to join them. We will present the latest findings from our research project KUMAC which is being funded by the BMBF. I will be there on Monday, 8th, during the afternoon. Of course, members of our project team will be present throughout the week. So if you are going to visit any the largest industry tradeshow of the world, make sure to stop by! The objective of the KUMAC project is to develop new methods for mass customization providers in the German retail market. These methods support an increase in productivity and value creation potential of these retailers. In February we posted our open letter about the sad fact that we could not organize and host this year's MCPC conference due to capacity constraints. Many of you have contacted me about alternative ways to keep the MCPC alive and today I am glad to announce that the Mass Customization Research Group at Aalborg University has commited to hosting the conference in 2014. Below please find soem extracts from their announcement letter, including a call to feedback for everybody interested in actively participating in the shaping of this conference. We are really glad that there is so much dedication to the project within the MC community and hope that MCPC will continue to be a corner stone of the international MC family. It was with some regret that we received the message from our good colleague Frank Piller and his hardworking team, that he and his organization for different reasons will not be able to arrange and host MCPC in 2013. We, the Mass Customization Group at Aalborg University, have decided to get more engaged in the current process under certain conditions; therefore we address this formal letter to the MCPC community with support from Frank Piller and Mitchell Tseng. First of all, Aalborg would be able, willing, and delighted to host the MCPC 2014 in Denmark on Feb 4-7, 2014 to offer the MC community a continuous place to meet and exchange ideas. We believe that the biannual MCPC conference still has great value for MC researchers and practitioners and we owe our friends a lot of credit for the work done in previous MCPC conferences. The International Organizing Committee has the obligation to arrange each conference. This committee has at least 6 members, where 3 members are from the organization/research group hosting the upcoming event, 1 member from past organizer organization, and 1 member coming from the organization to be in charge of the next upcoming event. The members of The Organizing Committee are presented in the closing session of each MCPC conference as well as the location of next conference. The chair of the Organizer Committee is held by one of the 3 "hosting" members. The International Scientific Committee has a minimum of 9 members, of who 2 members are from the hosting organization and the rest are representatives from the general MCPC community. The Scientific Committee is expected as advisory partner for the hosting organization in selections of topics, keynote speakers and themes for the upcoming MCPC, as well as the members will be asked as needed to assist as chair for sessions, reviewing, chair group of reviewers etc. Let us know whether you believe in a future global MCPC and the plan sketched above. If you would be interested in being a member of the Scientific Committee please let us know. If your organization would be interested in hosting the MCPC 2015 conference, please let us know. The group currently consists of four senior researchers including Kaj A. Jørgensen, Stig B. Taps, Kjeld Nielsen & Thomas D. Brunø and three Ph.D. students, Steffen N Jørgensen, Simon Haahr Storbjerg and Tufail Habib. What do mass customized products have in common? In a vast majority of cases, vendors will use a configurator of one sort or another to sell their products in all their customizable varieties. Making and selling a great mass customized product is no easy task. Setting up and maintaining a well-working configurator is usually not a matter of hours either (and if it is, you can usually instantly tell). The need for technical and design knowledge lacking with many entrepreneurs layed grounds for an industry that can be summed up as "configurators as a (web) service". One player in this field is Citizen Made. The company does offer designers, entrepreneurs, craftsmen or anybody else the opportunity to use a well-designed, professional configuration tool without having to develop one themselves. We recently met Citizen Made's CEO Rachel Brooks at MIT who gave us an insight into the company, what makes her offerings special and how she sees the future of mass customized products. FTP: Rachel, you have founded "Citizen Made". Can you tell us a bit about yourself and your background? RB: Prior to starting Citizen Made, I worked in several business and operational aspects of industrial design, fashion, and retail with small startups and major retail companies alike. Most recently, I ran operations for a menswear accessories company that created custom ties, bow ties and pocket squares. This is where I set up a supply chain that supports customization, worked with manufacturers, and worked through the challenges of offering customization as a core part of business. In looking for ways to extend the in-person experience of ordering custom products, I wanted to incorporate a light-weight configurator on the brand's site. Citizen Made was created from the difficulty my brand and other peer designers face in finding an affordable and accessible way to leverage eCommerce as a sales channel. FTP: Citizen Made is a service best described as "configuration as a web service", correct? What exactly do you offer to your clients? RB: We provide brands and manufacturers access to a quality configuration tool in an affordable and accessible way. With our configuration tool subscription, users get access to a dashboard where they are able to upload their product variables, images, and define product rules. With this information, a configurator is dynamically and instantly created, and becomes available to install onto any site to sell and accept orders for custom products. FTP: Customization configurators as an online service are not an all new idea. What does make Citizen Made special? RB: Citizen Made was created so that brands that sell custom products are able to accurately and effectively do so online, regardless of their access to development professionals, large amounts of capital, or knowledge of advanced image processing. In creating a standard configuration tool as a service, our proprietary dashboard makes it simple for product managers to articulate their product offering in a simple and beautiful way to the rest of the world, so that they can focus on managing and making products, instead of software and configurators. FTP: How scalable are your services, especially with large, demanding clients? RB: Our standard tool was designed for small and medium sized companies that require configuration, lightweight inventory management, sharing capabilities, and analytics on product components performance. This was designed for the purpose of data-driven forecasting and purchasing decisions. This level of configuration management as a standard offering today is world-class, however for enterprise clients that we speak with today, we have created ways to integrate with select ERP systems and tooling that is specific to these clients. From a configuration standpoint, a front-end experience where purchases can be dynamically designed and purchased is very straight forward. The Citizen Made dashboard today makes it simple for product managers inside of enterprise settings to update and experiment in real time with their products. The advanced part, from our perspective, is enterprise supply chain support, where our team and network works directly with manufacturers to support the needs of large companies and leverage the benefits of lean manufacturing. FTP: Do you think that configurators as a rentable service are superior to inhouse solutions? If so, why? And: for which target groups? RB: Software services are a great solution for brands whose core competency lies outside of software development and management. For the vast majority of brands, developing and managing software that is advanced enough to painlessly sell and receive custom orders is understandably outside of their in-house skill set By providing affordable sales tools for brands that sell custom products, we allow them to focus on what they are best at, while leaving the technical challenges to us. Just as most product companies don't engineer their own eCommerce CMS in-house, we offer a solution to a growing segment of companies that don't currently have a solution to sell products online. While our tools are understandably not the perfect solution to all product categories, we best serve products that are built to order and designed in a modular way. Products that require web-to-print software are currently served by other companies; we look to serve those who create beyond the 2D printer. FTP: How do you think the market for mass customized goods will evolve over the next years? RB: With the growing access to configuration tools, the evolution of local/small batch production, distributed manufacturing, and even the increasingly availability of commercial 3D print technology, I believe that we are at a critical point in expansion of mass customization. The initial goal in creating Citizen Made was to provide a simple and accessible tool for a company of any size to be able to sell what they are capable of making, while allowing potential customers to have what they truly want. I believe that our approach to configuration and access will help accelerate the prevalence of mass customization. FTP: In case any of our readers is looking for a job opportunity, are you hiring? RB: We currently have opportunities in Community Development and Business Development. FTP: What are your plans for the next 5 years? RB: Over the next 5 years, we are working toward creating tools and infrastructure that makes mass customization viable across many product categories, regardless of company size or location. We believe in the benefits of lean manufacturing and innovating supply chains for the future. We look forward to evolving our tools to reach further into the supply chain, with the goal of serving and digitizing the supply chain from front end to fulfillment. Thank you very much for your answers! It will be interesting to follow the development of Citizen Made and see the business evolve! And last but not least, hear is an overview video outlining Citizen Made's services in a more visual fashion. Citizen Made: Customization software for makers from citizenmade on Vimeo. 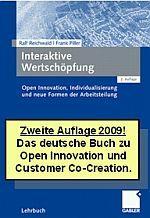 (Sorry, German posting on German book) Die MC2012 war die größte Konferenz zu den Themen Mass Customization (individuelle Massenfertiung) und Kundenintegration im vergangenen Jahr. Wir berichteten an dieser Stelle ausführlich sowie via Twitter live aus dem Konferenzzentrum. Nach dem großen Erfolg der Veranstalung in Salzburg und der angeschlossenen Fachbesucherausstellung ist nun der offizielle Tagungsband erschienen. Auf 139 Seiten werden neben den Originalpräsentationen aus der Konferenz die zentralen Themen von Prof. Frank T. Piller (RWTH Aachen), Prof. Dominik Walcher (FH Salzburg) und Dr. Paul Blazek (cyLEDGE Media) zusammenfassend besprochen, die mit der MC-Konferenz 2012 bereits zum zehnten Mal ein Forum für internationale Fachteilnehmer aus Wirtschaft, Industrie und Forschung präsentierten. Der Tagungsband "MC2012 - Profitieren von Kundenintegration" ist ab sofort als Downloadedition über Lulu sowie in Kürze über Amazon verfügbar. Over the past months we have reported a lot on the latest preparations of one of the most important meetings of the customization community in 2012: Smart Customization Seminar, hosted by Smart Customization Group, MIT. Now that the event has taken place and we got some time to breath again we want to take a look back and share some of our experiences with you. With the general topic being Micro | Macro | Customization it has been a really broad range of experts giving insight and views on customization from the point of view of their respective field of profession or research. From internationally renown scholars like Joseph Pine, Eric von Hippel or Alex Pentland to experts for (custom) architecture, food individualization or top-notch sports cars: This years lineup of speakers brought some centuries of combined experience into one room. Overall there was a great agreement that customization will continue to and play an even more major role in implicit and explicit design of our all's common living space, especially in large cities, and the way we interact, produce, buy and consume. One highlight of the seminar was when Marco Mattiacci, CEO of Ferrari North America, presented what could be called the glass ceiling of automotive individualization: A Ferrari 599XX EVO, in red, of course. Unfortunately we could not take the 1.500.000 USD car for a short test drive around Boston highways, but at least many auto enthusiasts got the chance to get photographed with this little gem of the four-wheeled world. 10.000 USD would get you from A to B just fine, one for over a million Dollar will still leave room for individual desires. And to fulfill these, be it in regards to admittedly exclusive sports cars or "just" individually produced nutrition bars, is not only a big step towards a new age of consumerism but also a business opportunity that could revolutionize many branches. As Mattiacci explained in his keynote speech, implementing (the right kind of) customization in an established company is not necessarily an easy undertaking. But once you have overcome potential barriers and worked out a system that fits your product and corporate philosophy, you can majorly benefit from your entrepreneurism: Ferrari managed to increase orders of individualized elements on their cars from a few thousand to about 80.000 USD per new car that is being bought, "just" by tweaking the way they offer customers to personalize their car in Farrari showrooms. That is rather impressive. Another great example of how the future of both retail and urban planning could potentially look like was outlined by Prof. Alex Pentland of MIT. He demonstrated how data mining can be employed to optimize shopping experience for customers, making it more convenient to find what you (likely) want to buy, making the process less tiresome and more efficient at the same time. As Alex Pentland showed, using a large enough database of location data from cell phones, one can make actually rather precise predictions of the buying behavior of customers, what they are interested in, individually, and which product offer might be benefitial to them. Of course, this is a really double-edged sword. Not everybody is comfortable with his location data being used for marketing purposes (or even stored). And while privacy concerns are very much understandable, this technology still has a lot of potential, certainly not against the will of customers but, with their agreement, advertising could see a real revolution. Imagine only seeing product ads about things you really care about on television. No more generalized campaigning but specific offers for every individual, fitting his or her interest and needs. This kind of customization will need a lot of further development until it will become as universally accepted as today's broad-range advertising, but it at least has the potential to play a big part in tomorrows retail world. Also very interesting was a finding presented by MIT's Ryan Chin: Employing modern RFID technology his group could prove in a research scenario that mass customized dress shirts are being worn more often or used over a longer period of time as compared to non-customized shirts. This is certainly explainable with not only a better fit but most importantly the customer's increased affection to a product he individualized himself. This, and other presentations, deliver a clear message: customization is far more than a trend for those with a special interest in personalized products. It will be one of the most important aspects of living and conducting business in the coming decades. And while we are still far from a fully customized world, this is an excellent time for innovative entrepreneurs to get into the market and secure themselves market shares, like Anthony Flynn did with his venture YouBars, producing custom nutrition bars. And sometimes, its just a small idea that sparks something large. But customization is not only a matter of business opportunities. At least evenly important, it will be part of our future society. More individualism will change the face of urban living, personal traffic, media consumption and many more fields of life forever. And while this development will be driven by consumers and supported by industry, it is also academia and administration who is asked to get a custom world into their focus of attention and do their part to make the future fit the nature of humans better by creating an enviroment that allows individuals to do what makes them individual: Taking and living their choice. [Interview] Anthony Flynn & Emily Flynn Vencat, Authors of "Custom Nation"
As promissed in our recent book review of Custom Nation, authors Anthony Flynn and Emily Flynn Vencat, participated in our interview series with MC&OI entrepreneurs to share their experiences in the customization market, their book and who could profit most from reading it. FTP: Can you tell a little bit about yourself? What do you do and where did/do you get your experiences with mass customization from? ANTHONY: I’m the founder and owner of YouBar, the world’s first customized nutrition bar company. I started the company in 2006 after feeling frustrated by my inability to find an off-the-shelf nutrition bar that met my – admittedly very specific – health and taste needs. So, I started custom-making bars for myself, and I thought there would be a huge market for bars made to meet individual consumers’ own unique needs and, out of that, YouBar was born. Since then, I’m extremely proud to say that I’ve grown the company to seven-digit annual sales, and now employ 30 people in an 8,000 square foot facility in downtown Los Angeles. Thanks to my success with mass customizing, several years ago I started being invited to give talks on customizing to universities around the country (from UCLA to MIT), and have become a consultant to companies looking to add an element of customization to their existing mass-production based business models. EMILY: That’s right. Several years ago, Anthony – who in addition to being my co-author is also my brother – came to me with the idea for this book. At the time, I was working as a business journalist in London – I was Newsweek’s London-based business writer and, after that, was a business writer at the Associated Press -- and Anthony told me he wanted me to write this book with him. At first, I was extremely sceptical (and also very busy! ), but the idea was so compelling that it didn’t take long before I was convinced and we signed with our publisher last year. FTP: On the early pages of your book you tell us that "outline exactly how you too can use customization to launch a successful new business, or exponentially increase sales in your existing business". That sounds like a pretty ambitious promise. Have you found the holy grail of retail? ANTHONY: I don’t think we’ve “found” the holy grail of retail. I think it’s been there all along. If you think about the way that the very rich have always consumed goods, you’ll see this. The wealthy have never really bought into the idea of consuming mass-produced stuff en masse – they’ve always had everything important custom made-to-order – from their furniture to their homes to their suits. What’s new, and what I think we’ve “found” in our book is that – thanks to new technologies, like the internet’s ability to connect producers directly to retailers, the advent of online configurators and new production methods – high quality custom goods are now affordable to the average person (and not just the super-rich) for the first time in history. Because this shift is so new, however, many companies haven’t yet embraced it or figured out how to do it right. Our point in the book is to provide a guide for how to do exactly this. FTP: You also write about a shift from DIY (Do It Yourself) to CIY (Create It Yourself). What exactly do you mean by that? EMILY: Before the Industrial Revolution, custom goods were actually the norm – even for the very poor -- because Americans did everything themselves, like cook their own dinners, make their own furniture and sew their own clothing. What’s new about today’s customization is that it isn’t Do-It-Yourself (DIY); it’s Create-It-Yourself, or what we like to call CIY. Create-It-Yourself is when you get to do all the fun parts related to making something new, like designing the flames emblazoned on the side of your Mustang or choosing the exact ingredients in your gluten-free nutrition bars, without having to do the hard work of stencil painting or wheatless cooking yourself. Using online configurators, consumers can now participate in the high-level design of their products without having to get their hands dirty. FTP: Without revealing too much from your book: Where do you see the most critical failures companies make when implementing or maintaining an MC strategy? ANTHONY: The number one problem that I see and hear about again and again when companies begin customizing is that they start off giving their customers too many choices. Just because you run a customizing company, and want to give your customers choices to match their exact needs, doesn’t mean that you need to offer a million different colors or sizes or whatever. Earlier this week, I spoke to an executive at Nike who told me that it’s actually Nike’s goal right now not to add more customization to its excellent custom sneakers platform, NikeID, but actually, rather, to make it “simpler.” When you give your customers too many choices, they can find it overwhelming and difficult to engage with. What’s more, from a business perspective, if you offer too many choices you can end up painting yourself into a corner financially. FTP: And how do you think these shortcomings could be prevented? ANTHONY: In Chapter Nine of the book, we outline the “Seven Lessons” for how to get customization right, which we derived from our interviews with the CEOs and founders of many of the world’s most successful customizing companies, including Vistaprint’s Robert Keane and Shutterfly’s Jeff Housenbold. I think all of these lessons are absolutely crucial, but – as implied by my previous answer – one of these lessons is that, even in the customizing model, a business should never give consumers too many choices. We give concrete details, examples and advice in this chapter about what exactly that means. Here’s just one basic example of limited choices in action: on the Ford Mustang Customizer website, consumers can choose from dozens of hood designs and paint jobs, but they don’t pick the materials used in the engine. FTP: In your book you talk about the "automated expert". What do you mean by that? EMILY: One of the most important technological developments that has made mass customization possible is the advent of online design tools – also known as “configurators” – which allow customers to go on websites and create their own products without needing the help of a human expert. In the 20th century, one of the main reasons that customization was the preserve of the ultra-wealthy was that if you wanted to custom design something, you needed an expert at your elbow to help you turn your idea into real image. If, for example, you wanted to design a suit, you needed a tailor. If you wanted to design a ring, you needed a jeweller… and so on. Imagine, for example, trying to sketch your perfect suit or ring without expert help. For the vast majority of us, our basic drawing skills and lack of knowledge about how materials work would make this utterly impossible. And human experts are expensive. But now, configurators allow even the non-expert consumer to go online and use automated tools to create-their-own suit or dress or jewelry or interior design – this list goes on and on – without needing an expert on hand. The configurator is, in essence, the affordable automated expert. FTP: Can companies save themselves from some painful experiences if they read your book before acting? ANTHONY: Absolutely. Our lessons for how to customize identify pitfalls, like the problem with too much choice or the potential difficulty with choosing a price-point for your custom good, that are extremely easy to navigate once you know they’re there, but almost impossible to avoid if you don’t know about them. Honestly, I wish that someone had written this book seven years ago so that I could have read it before starting YouBar and avoided making so many of these costly mistakes myself in the first year of my business. FTP: Where do you think mass customization is going? And what does still need to be done to make it an even more successful movement? EMILY: In the next ten years, we are going to see a shift in what’s considered ‘normal’ in retail. In dozens of important industries, the ‘normal’ thing we buy is going to go from being a mass-produced item to being a made-to-order customized item. The shift is actually already heavily underway in the auto industry, and its quickly coming in apparel, accessories and entertainment. For proof of this, you only have to look at the way young consumers – those under the age of 30 or so – are already buying things. Young consumers no longer see customization as a luxury in many parts of their lives, they just expect it. Instead of listening to entire mass-produced CDs, they tune into completely customized playlists care of iTunes or the popular custom radio station Pandora. Instead of watching pre-set television channel line-ups, they watch on-demand digital recordings on Netflix and YouTube. Instead of driving identical cars -- like the Baby Boomers once did with their one-size-fits-all 1960s VW Beetles – they purchase custom, built-to-order Scions on the company’s customizing website. In fact, Scion isthe most popular car brand in America with buyers aged 18 to 27, and I’m sure this is because of its great, and affordable, customizing platform. If you look closely, there isn’t a single aspect of young consumerism that isn’t starting to be customized. The Millennial generation gets custom dating recommendations from matchmaking websites, like Match.com, they have custom sneakers on our feet (from brands like Nike and Converse), custom sweatshirts on their backs, custom cases for their iPhones and custom newsfeeds from social networking sites like Facebook. FTP: Is mass customization for everybody? ANTHONY: Yes. There isn’t a single industry that won’t be transformed by the shift to customization within the next decade. Already, we’re seeing every major company – even the most classic mass-producers -- target their advertisements in customized, individualized ways online. This is the first large and important step towards thinking about consumers as unique individuals and not a single mass with homogenous tastes and values, as was the 20th century norm. FTP: Thank you both for this really insightful interview! "Customization of products is one of the most important business trends of this decade!" We hear this a lot when asking business folks about their opinon on the mass customization market. And we wholeheartedly agree. "Offering customized goods is mainly a technical question, your product is either suited or not, and if it is suited, there is not too much more to it than having the right production processes!" We hear that a lot, too. And, probably not much to your surprise, we have a really hard time agreeing here. Starting a successful customization business or expanding an existing business onto the customization market is nothing to take lightly (unless you want to join the 20+% of mass customization businesses that vanished from the market relatively fast, as we found in our MC500 study). Having the right product is only one of several important aspects, amongst which some are really suited to ruin your business plan if you do not consider them beforehand. Thank god there are some good books about customization to help you get up to speed and avoid all the little (or big) obstacles on the path between your ideas and a successful MC venture. And another pretty good one has just joined their ranks! Coming from Youbars founder Anthony Flynn and business journalist Emily Flynn Vencat, "Custom Nation: Why Customization Is the Future of Business and How to Profit From It" brings some high quality information and expert insights in the form of a well-written, convenient to read book. Split into two parts the authors go in depth on the history and quirks of the customization market, their prediction for its future development and a lot of practical advise about how to start a successful customization venture, or roll out an expansion onto the customization market with your existing company. In my opinion this book is really worth reading if you are (planning to go) in the customization market. It is full of interesting insight with actual relevance and is easy and fun to read even for non-experts. My conclusion: Finally a kind of field-book and "how to do" approach that perfectly supplements the existing conceptual and academic texts. Anthony Flynn and Emily Flynn Vencat also kindly agreed to participate in our series of MC&OI entrepreneurs! Please find the whole interview here! A lot more information about the authors, their book and research can be found on their official website. In conjunction with the MC2012 conference on mass customization in June we reported on CowCrowd, a customization project by Viennese media agency cyLEDGE. Since our posting back then was in German only (as was the conference), here is what CowCrowd does. CowCrowd.com is an online configurator where users can create small wooden pendants with individual messages. These messages contain text or symbols and even photos, which can be uploaded an placed on the „cow tags“. As a special feature, users can directly connect to Facebook to engrave the profile pictures of their friends and family onto the tags. cyLEDGE, being an innovative media agency, also does its best to make the project as customer-interactive as possible. Users are invited to share their designs and use cases on Facebook to inspire others and spark new ideas. Via social networks the company stays in close contact with its fans and posts regularly on new infos and funny internet memes, most of them cow themed. Now, part of being a customer-centric venture is to closely listen to customer wishes and to adapt one's own processes and portfolio to make the one individual happy that really counts: your client. Hence, for the holiday season CowCrowd created two new shapes to give the users more alternatives for their individual pendant. The new shapes are a Christmas tree for last minute presents and a simple round tag to meet the user's demands for more neutral forms than the classic „cow tags“. Provided, when we first heard about CowCrowd, we were a bit hasitant about wearing a tag formed like a cow's head. However, when we got a chance to see and feel them live on the MC2012 conference, we were all charmed by their cuteness and surface quality. They certainly make a nice gift and there is no real risk in giving it a try yourself since the customizable pendants are available for under 5 EUR. More about CowCrowd on the official project website. Not long ago we reported about OpenRunway, a mass customization venture enabling customers to personalize women's shoes and handbags. For those (female) readers who can not get enough of customized bags, here is another very neat company from Germany: Project OONA. Project OONA features a nicely done configurator which lets you customize most aspects of your bag, after selecting one from a number of base models. Maru Winnacker, CEO of Project OONA, kindly agreed to give us some insight into the venture, what makes it different and how she sees the future of mass customization. FTP: Maru, can you tell a bit more about Project OONA? What exactly are you offering? MW: Project OONA is a brand development company offering customization of handbags online. On our website customers will be able to customize their handbag. They start out with a design from our collection and then choose from different types of colors, linings, materials, etc. FTP: Personalized (Hand-)Bags are not exactly a new idea. What sets your company apart from the competition in this field? MW: I agree that "personalization", i.e. the imprint of names or signatures, of fashion items has been around for quite some time. However, offers are rare, seldom integrated and mostly provided by high margin luxury brands. One prominent example is "Mon Monogram" by Louis Vuitton. However, "customization" as a means of giving customers full access to the production decision is a new phenomenon. The production and distribution processes involved are quite complex and we are experiencing a steep learning curve. There is only a small group of competitors online, all of which for less than 24 months and non supported by a global player. We researched all available offers online. However, these websites target either a very young audience or the mass market. We strongly believe that consumers deserve a recognizable brand to engage with: A logo, a specific style, excellent materials and perfect quality. That's how we try to distinguish ourselves. We are also targeting a premium customer segment focusing on internationally traveled business women who have an elaborate sense of value. FTP: So far you are offering bags of different kinds (including iPad cases) from fine leather. Are there any plans to expand your business in the foreseeable future? Do you plan on diversifying your portfolio? MW: Yes, of course! We started with handbags and fine leather accessories. We will quickly introduce additional handbag styles and materials. In the medium term new business segments (e.g. travel bags) will be added. In the long run, you will certainly see us experimenting with other customizable fashion categories. FTP: What are your current markets? Do you offer exclusively for German customers or is Project OONA a world wide venture? MW: As mentioned, Project OONA has an international claim. We started our service in Austria and Germany due to our local home field advantage. We will soon launch our English website and start shipping within Europe. FTP: Where do you see your venture five years from now? MW: Five years from now is a long time. I hope to be selling worldwide by then, with 2 - 3 more fashion product categories. FTP: Do you think that mass customization in general is a long-lasting new paradigm that will change the face of retail significantly? Or is it just another trend? MW: If there has been a paradigm shift towards mass customization it has happened years ago! The automotive industry has been adapting to this for years. The fashion industry will need to adapt quickly due to increasing customer demands as well as complete product and product value transparency. There are a myriad of innovative experiments currently online (e.g. virtual reality measuring, affiliate marketing etc.) that should leave not customer demand unfulfilled. Why should a customer shop around when she can design her fashion item herself? It is easy to get hooked to this kind of luxury! So yes! I strongly believe that mass customization in the fashion industry is here to stay. It offers huge potential both online and offline. It brings customers and retail closer together. And I also believe that the current divided on- and offline retail chains will merge into one channel soon. Customers should be able to choose online and pick up offline and vice versa. FTP: Are you currently recruiting or looking for partners? Who would you want to work with if given the choice? MW: Currently we are looking for more software engineers. Anyone interested? FTP: Thank you very much for this interesting interview! Im looking forward to see your venture grow and become an established brand on its market. Last week we hinted you at a great series of hands-on workshops by Joe Pine and Jim Gilmore. Now we had the chance to get some of Joe Pine's precious time for a short yet insightful interview on Mass Customization, his workshops and what the new project he is working on right now. FTP: Joe, with Mass Customization being the business trend of the decade (at least!) there are a myriad of workshops by a lot of more or less qualified experts. While you are without doubt one of the best to learn from, can you go into detail a bit about what sets your workshop apart from the competition? JP: My "How To Mass Customize Your Offerings" Workshop on May 30, 2013 -- the last of a series of six "how to" workshops my partner Jim Gilmore and I are doing -- is based on the ideas and frameworks that I have developed over the past 20 years since Mass Customization was first published. So one is this grounding in my core frameworks. The second differentiation is the how to part; it will be a workshop where participants (not attendees) actually get to wrestle with those frameworks and develop ideas for their own businesses. And finally, it will be solely focused on mass customizing goods; those who wish to mass customize services and especially experiences will also gain great value! FTP: You are one of those with a hand on the pulse of MC-Development. Not to take away from your workshop of course, but are there any exciting new developments or trends that you can give our readers a little exclusive hint at? JP: One new framework I have -- never published -- shows that mass customizing down to the individual, living, breathing customers is not the end goal! It's not just about serving markets of one, where every customer is his own market. No, we need to reach further and recognize that every customer is multiple markets. We need to recognize what market an individual customer -- and this applies especially to business customers -- is in before we can hope to mass customize to meet that customers' needs at this moment in time. I also believe the rise of digital manufacturing in general and 3D printers in particular opens up huge new avenues for Mass Customization now and into the future, something I actually get into in my first workshop, How To Stage Engaging Digital Experiences, on December 6, 2012. FTP: You have been following the MC idea for a long time now. While the idea certainly evolved from a niche concept to a mass(!) movement, what do you think will the future hold for MC and its implications especially on the retail landscape? JP: I fully believe that Mass Customization will be as important to 21st-century businesses as Mass Production was to 20th-century businesses. And if you think about the fact that Ford Motor Company did not pull everything together into the first Mass Production assembly line until October 1913, we still have long way to go! And one direction to go in is to bring Mass Customization into retail stores themselves, such as we already see with companies such as Build-A-Bear, Paris Miki, Lenscrafters, and the like. Absent that possibility, retailers need to put design tools into their stores to form the core of a design experience, such as done by Nike, adidas, Bloomingdales, and so forth. FTP: You are well-known for a number of great books on MC. Are you, by chance, working on something new for those eagerly awaiting a new volume from your hands? JP: But of course! I am always thinking and working on something new, and in this case it is working with my Infinite Possibility co-author, Kim Korn, who has developed some compelling insights and amazing frameworks around what management needs to become to meet today's corporate needs. As Mass Customization is supplanting Mass Production, we al2so need to supplant the old command-and-control ways of managing, yielding what Kim calls "regenerative managing," the goal of which is simple: to thrive indefinitely. Over the past weeks we have given a lot of updates on agenda and speakers of this year's MIT Smart Customization Seminar. In case you just found out about our seminar and dont feel like reading through all these posts, here is a convenient update on what expects you on SCG 2012! The MIT Smart Customization Seminar 2012 is a unique opportunity for a deep dive into one of the most intriguing trends shaping our economy today: the move towards personalization and the customization of products, services, health care, mobility, and urban infrastructure. The seminar's foremost idea is to connect CEOs, new business developers, consultants, corpo-rate entrepreneurs, innovators, the investment community, and researchers from MIT and other leading institutions in peer-to-peer interactions to foster intense discussions and to co-create an agenda for the Personal Economy. This year’s event will kick off with keynote presentations by world-renowned representatives from consulting, academia and industry, followed by a number of sessions, each dealing with a specific field of customization, held by some of the most experienced experts. You can download this year's Smart Customization Seminar's updated agenda here for information on all keynotes and sessions! Some changes have taken place over the past weeks so if you have not checked for a while, consult the updated agenda above for all new content like Joe Pine's updated keynote speech on "The Multiverse: Finding the Next Opportunities in Mass Customization" or Marco Mattiacci agreeing to be our third keynote speaker! For more up-to-date information and registration please head to http://scg.mit.edu or follow the conference twitter hashtag, #SCG12! Continuing our little mini series on speakers of this year's MIT Smart Customization Seminar, here is some more information on who will be there on stage to share his expert knowledge with you. Fabrizio Salvador is Professor of Operations Management at Instituto de Empresa Business School and an Adjunct Professor at the MIT-Zaragoza Logistics Program. Fabrizio received a Ph.D in Operations Management from the University of Padova, where he also graduated in Industrial Engineering. His research focuses on how operation strategy and organizational design can support the simultaneous achievement of efficiency and flexibility. Besides his academic appointments, he has worked with numerous companies, such as John Deere, Electrolux, DHL, IBM, etc. in addressing operational problems associated with customization and product proliferation. You can download this year's Smart Customization Seminar's agenda here! Kent Larson is the director of the Changing Places research group at the MIT Media Lab. He also runs the MIT House_n Research Consortium at the MIT Department of Architecture. His current research focuses on strategies for creating responsive places of living using new design/fabrication strategies, defining system level standards for an open source approach to building design, new urban vehicles, and developing ubiquitous sensing/computation technologies that do useful things for people related to proactive health, energy conservation, personal mobility, and learning. Larson practiced architecture for nineteen years in New York City with work published in Architectural Record, Progressive Architecture, Global Architecture, A+U, and Architectural Digest. His book, Louis I. Kahn: Unbuilt Masterworks was selected as one of the Ten Best Books in Architecture 2000 by the New York Times Review of Books. The closer we get to this year's Smart Customization Seminar the more exciting news drop in from our team organizing the event. And the one we have today is really amazing: Kendall Square Association, the non-profit group working tirelessly to improve Kendall Square, where the MIT campus is located, for all residing entities, has agreed to co-sponsor the event and help to promote it amongst their members to get even more customization enthusiasts to participate in the seminar. We are really grateful for this tremendous support! Continuing our little mini series on speakers ofthis year's MIT Smart Customization Seminar, here is some more information on who will be there on stage to share his expert knowledge with you. Marvin Minsky has made many contributions to AI, cognitive psychology, mathematics, computational linguistics, robotics, and optics. In recent years he has worked chiefly on imparting to machines the human capacity for commonsense reasoning. His conception of human intellectual structure and function is presented in two books: The Emotion Machine and The Society of Mind (which is also the title of the course he teaches at MIT). He received the BA and PhD in mathematics at Harvard (1950) and Princeton (1954). In 1951 he built the SNARC, the first neural network simulator. His other inventions include mechanical arms, hands and other robotic devices, the Confocal Scanning Microscope, the "Muse" synthesizer for musical variations (with E. Fredkin), and one of the first LOGO "turtles". A professor with MIT’s Media Lab and AI Lab, he is a member of the NAS, NAE and Argentine NAS. In addition, he has received the ACM Turing Award, the MIT Killian Award, the Japan Prize, the IJCAI Research Excellence Award, the Rank Prize and the Robert Wood Prize for Optoelectronics, and the Benjamin Franklin Medal. MIT Smart Customization Seminar 2012: Additional Keynote by Marco Mattiacci, President & CEO of Ferrari North America! Truly great news! After we could already commit inernationally renown experts Joseph Pine and Alex Pentland to hold opening keynotes at this year's MIT Smart Customization Seminar, news just came in that we got another really exclusive speaker to share some insights with us! Marco Mattiacci was appointed Chief Executive Office of Ferrari North America, Inc. in January 2010. He oversees the largest market of Ferrari, which beyond the US included Canada and all Central and South America. Sivam Krish, one of the veterans of the mass customization movement, is back with a new venture, building on generative design. HIs idea: a new toolkit to customize individualized jewelry. This is not a new category In the old days, wealthy people went to their jeweler of choice and ordered a piece of earrings or such, matching their individual taste. With the concept of mass customization, customized jewelery has become a bit more affordable and accessible to "the masses". Usually, customization in this sector happens by picking a base model (online) and then changing materials, gems, color and so on. A number of high-profile startups have been busy in this domain. Now, there is a new approach on the market, though. One Just One has just published their new concept on kickstarter where they hope to raise some investment capital to make their ideas reality. The idea sounds fairly interesting. Instead of altering a few numbers of typical base designs for a ring or a necklace, they apply a technology which they call gererative design to generate 3D printed jewelry which is as unique as possible: they only sell one piece of each variation. We were lucky to get Sivam Krish of One Just One to give us an online interview and tell more about the idea behind the venture and how it is different from the existing competition. FTP: Sivam, can you give some general outline of what One Just One is, and why it stands out from competition? SK: Ok, we are trying here to reverse the influenced of the industrial revolution - which commodotized products. Before that, ladies would go to a family jewellery and say I want something like that but made like this. The jewellery himself would have some prototype types in his mind. We call these prototypes genetic models - but they are computable models. One of the great disadvantages in design is that there is no way to map design information except in terms of geometry color or texture. Genetic modeling allow us to map products parametrically - which then means we can map at a very high level as what people desire, so it is going to open up new possibilities. We should be able to do what amazon does with books, in terms of not only what customers are likely to like, but be able to generate from previous purchase patterns designs that are they are more likely to like; that is, generate designs within the envelope of consumer preference. Before mass production a wide variety of designs emerged from the craft tradition, and it evolved. Only mass production created a fetish about a single representation of design. We take a genetic view of design - in that we look at designs as belonging to families, as biologist do. FTP: Can you go a bit in depth about the technical side of the design process? Can the potential customer influence the design process? If so, how much? SK: We think that designers have a new role. That is to create genetic representations of designs rather than a single instance of it. Once this representation is made, we use genoform to create 1000s of variations, but many of them may be not manufacturerable or desirable. We leave it to the designer to use their expert judgment and taste to set the bounds of variations. The buyer then selects within such bounds. One just One is a designers brand - and we believe that a good part of design is about selection.Evolutionary biologist would agree with us here. So the role of the designer is critical here. But unlike before within a larger range of design possibilities buyers may choose according to their own taste. We are not in favor of customers designing. The rest of the 3D printing community may be into that, but we are not. We belive that the next generation of designers have a role to give designs form and meaning but gentic form not static immutable form. FTP: You are getting your starting capital through a kickstarter campaign. What are your plans for the future if the business model heads off? SK: We have set a very small maximum amount of 3000$ and a maximum number of products to 400 - which we can meet. I am a great believer in lean bushiness model and not wish to subject this little venture to the trauma that capital brings. Yet we need to raise some amout of capital. The less investment we have the more we can share with out design community. Out intention is to make it the most attractive platform for the most enlighten and talented designers who are willing to take leaps that others cannot contemplate. How we are going to do this, I really do not know. FTP: Thanks a lot for the interview, Sivam! I am sure you do already have some ideas how to approach these rather ambitious goals and I am looking forward to keep our readers updated about its future development. More Information about One Just One can be found on their official website as well as from their ongoing kickstarter campaign. and follow our conference twitter hashtag, #SCG12! Wrapping up our previous posts and adding a lot of extra information about this year's MIT Smart Customization Seminar, the full agenda has just been approved for release! Designing and making is no longer only done by experts with years of training. Many of the digital design tools that were once available to professionals are now in the hands of consumers. Desktop 3D printers are popping up everywhere, sophisticated design software is freely available online, and the boundary between physical and digital is quickly blurring. What is being made by these non-experts? How are they designing and making it? What new design processes are we finding with such easily accessible design tools? From the bottom up – including start-ups, DIY fabricators and at-home designers; and from the top down – software behemoths and construction giants, we are seeing dramatic transformations in design technologies and platforms that enable mass customized products like never before. In the future, cities will account for nearly 90% of global population growth, 80% of wealth creation, and 60% of total energy consumption.Developing better strategies for the creation of new cities is therefore a global imperative. Our need to improve our understanding of cities, however, is pressed not only by the social relevance of urban environments, but also by the availability of new strategies for city-scale interventions that are enabled by emerging technologies, taking a holistic approach over all of a city’s functions – water, food, waste, transport, education, energy. This session will explore new data-driven approaches to urban design and planning with the ultimate goal of a 100x reduction in CO2 emissions, a 10x reduction in traffic congestion, a 5x improvement in livability and a 2x improvement in creativity. Personalization and customization have a long-standing tradition in health care, where treatments and prescriptions have always been tailored to individual patients’ needs. Over the last decade, further personalization efforts were made by offering customized implants and diagnostics that adapt to physical features of patients. New technologies will extend this much further by building on an individual’s genetic predispositions to better predict treatment outcomes. In addition, selective control over specific areas of neural circuits for the first time enables a thorough analysis of how behavior patterns and experience come about. On the other hand, from a more practical perspective, those behavioral patterns and underlying neural circuits can be readjusted using advanced mental techniques, ensuring optimum performance in critical situations. In this session, we will explore both new technical developments as well as the surrounding ethical debate and its implications for technology. In this session we explore how personalization and customization is changing our understanding of consumer choice and behaviors. Consider the example of apparel: Over one-third of the value of textile industries is wasted on traditional mass production processes including warehousing, shipping, and retailing. Mass customization offers potential to not only reduce waste in back-end processes, but also to help consumers make more informed and sustainable decisions. At the same time, real-time data tracking and new devices for self-measuring are becoming the foundation of new business models and retail formats. The MIT Smart Customization Seminar 2012 provides a unique opportunity for a deep dive into one the largest trends shaping our economy today: the move towards personalization and the customization of products, services, health care, mobility, and urban infrastructures. The seminar's foremost idea is to connect CEOs, new business developers, consultants, corporate entrepreneurs, innovators, the investment community, and leading researchers from MIT and other leading institutions in peer-to-peer interactions to foster an intense discussion and to co-create an agenda for the Personal Economy. Conventionally, mass customization has been seen as the efficient creation of products and services meeting the demands of each individual customer. But this still emerging development on the micro level – the level of the individual firm-customer relationship – has recently been supplemented by a strong application of customization and personalization principles on the macro level. Enabled by new methods of imaging and analytic testing, personalized medicine is replacing the blockbuster approach that has dominated the health industry. Anonymous cities with mass scale infrastructures are getting personal by real-time data apps, personal mobility, and a stronger participation of citizens in the planning process. Mass production is being supplemented by a distributed and local infrastructure of digital manufacturing and open hardware. 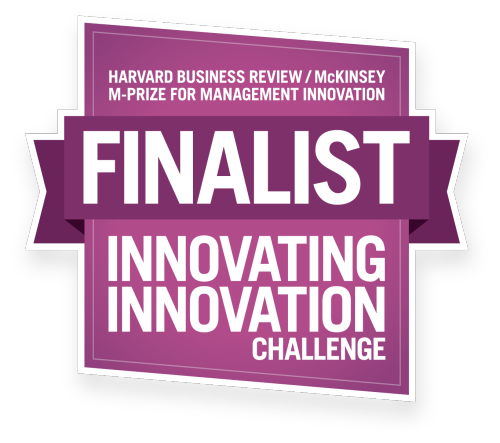 These and other applications are strong drivers of disruptive innovation and value creation in many industries. We are at the advent of the Personal Economy that changes the dominant logic of business from a mass society characterized by homogeneous customer segments and mass production of products and services towards a value system that creates profit opportunities from the reality that all people are different. The objective of the SCS 2012 is to educate and inspire critical thinking on the Personal Economy on the micro and macro level and to set an agenda for future debate and value creation in this domain. This event offers great networking opportunities for everyone interested in mass customization, personalization, and customer co-creation – inspired by the creative environment of MIT and the MIT Media Lab. The presenters of the SCS 2012 will share their latest research and business insights of trends, strategies, business models and enabling technologies that are the foundations of profiting from personalization and customization on the micro and macro level. The 2012 agenda will present divergent and complementary voices along four of the core areas where personalization today is shaping our economy and society most: Consumables, Health Care and Medicine, Urban Living and the City, and the new production system based on digital technologies and easy access to hardware and data. We will publish more information on the event, the agenda, its topics and speakers here as they become availible, so stay tuned! Whether that be as a regular student, starting to dive into a chosen field of knowledge, or as a professional, taking the next career step by gaining additional skills, creating a matching a student`s very own situation of life is very important. However, there always have been a dis-connect: too many offers, and too much confusion. Since more than ten years, I am talking about the idea of an "education configurator". Now this configurator finally came true. Glubal wants to make flexible, individual university-level learning happen . The venture is just about to go live with their online configuration system and represents an educational network, connected to an online configurator. Very simply put, learning interests (to-be students, professionals seeking promotion etc) will be enabled to configure a list of academic programs by the means of the configurator frontend. The programs offered are provided by the universities and other education facilities connected to the glubal network. The opportunity to filter avilible offers to match one`s own life situation best sounds like a compelling idea in theory. Professor Marc Drüner, glubal CEO and partner at trommsdorff & drüner consultants, kindly agreed to engage in an online interview and explain the concept in more detail. FTP: Professor Drüner, first. Congratulations to this great idea and realization! You have created glubal as an intermediary to support a new kind of individual studying. Can you tell our readers a bit more about the concept behind glubal and what makes it unique? MD: Our brand glubal stands for global university network. We provide an online platform (www.glubal.com ) making accredited study and training opportunities available online to students and business in collaboration with international universities. The idea of glubal derives from the background of the Bologna Reform ten years ago. The establishment of the common credit point system (ECTS) and the three-cycle-degree (Bachelor, Master & Doctor) in Europe makes a more flexible and more international study possible. As professor at the Steinbeis Hochschule Berlin for ten years and director of an international management consultancy, I have gained insights into economic as well as academic life. There is a problem on both sides: Even though the employment market demands increasing flexibility from employees and employers in terms of education and training, the current mainstream educational system is just too rigid for many people and does not support life-long learning. With glubal, we want to tailor study programs to people’s individual, unique lifestyles. This is the way to ensure a smooth entry into the jobs market and to guarantee chances of promotion by combining working with studying for a qualification. glubal’s USPs are individuality, flexibility and internationality. The unique feature of our concept is the glubal study configurator (https://www.glubal.com/en/glubal-configurator ) . Dependent on a student’s personal requirements, fields of interest, personal budget and chosen method of study, every course component of our global university network can be combined flexibly and individually with other components from elsewhere to create a study program lasting as long as personal circumstances dictate. We ensure that the module combination selected by a student will lead to a recognized degree. FTP: Do you consider glubal’s target group to be more the regular student, trying to go a more flexible way of studying or the “lifelong learner”, the professional aiming to get additional qualifications? MD: There is no conflict between students and professionals for glubal in terms of the target group. Our service is aimed, above all, at graduates and employees interested in promotion. We also offer an attractive alternative for current students who need more flexibility and individuality in their study. Besides potential students, companies and colleges can also benefit from our service. For companies, glubal offers not only a whole new way to access the talents of tomorrow, but also the connection to the university sector. For colleges and universities, we make it possible to take on a growing number of students, to fill more places on existing modules, to increase international brand recognition and improve access to business. FTP: Establishing a network that allows to (more or less) freely combine courses from different universities and nations with each other sounds like a really challenging task, especially given the fact that the awarding of academic degrees is regulated by national law. How do you ensure compatibility between all these different modules? MD: The given background of Bologna Reform I mentioned before is the corner stone of mutual recognition of credit points and academic degrees between colleges and universities in different countries. People have been working on a more transparent and compatible education system in the international context since more than ten years. I think we have reasons to believe that this trend will carry on and evolve further in the future and that glubal will be able to promote this process. However, glubal will not interfere with the given administrative and approval processes for academic modules at our glubal partner universities. The degree-granting universities stay in the driver-seat and stay completely free to define, which modules of other universities they do accept under their given examination regulation. FTP: The Bologna Process intended to do what could become a reality with glubal: Allow to study internationally, not just in your country, and in a way that works best for your interests. Yet, many politicians, academics and students say that the ideas of Bologna have not been implemented well enough to really work. What makes the glubal approach more promissing to achieve better results in comparison? MD: Of course there are still dozens of problems to solve even after ten years reform, especially in terms of the compatibility between the qualities of modules in different universities. But you cannot deny that the mobility of students inside Europe has greatly increased at the Erasmus program for instance. We believe in the vision of a more tolerant education system in the future in the scope of Bologna Reform. With glubal as an educational initiative we would like to contribute to the process of harmonization between universities and help shaping a more flexible education system in the future. FTP: The idea of highly customized academic learning is not new. Until today one of the great bottlenecks has been the lack of a well-designed configurator, allowing (future) students to select the right modules for their individual life situation and learning goal. Can you tell a bit about the process in which your clients will select their individual courses? Are they being guided or just presented with a configurator? MD: We have been working the whole time on the more simplified and clearer configuration process. Basically, a student only needs to visit our online platform, choose his preferred subjects and other options in our configurator and he will get the suggested study combination from the system. Of course we also offer personal study consultancy through free hotline with our professional study advisor, who will accompany the applicants along the whole way of application. Our first course begins this autumn and the application has already started. Our glubal team will do the best to cover the individual needs of our applicants. With the further expansion of our global university network, we will be able to offer even more flexible configurations in the future. FTP: Developing a system that, if it works, could do a lot to make flexible life long learning a reality is certainly no easy process. Can you tell a bit about how you worked on designing the system? Did you work closely with students and lecturers to get an idea of what they really desire in a sort of customer co-creation? MD: I am director of an international management consultancy and professor at the Steinbeis Hochschule Berlin for ten years. This kind of career combination enables the possibility to exchange opinions with students, lecturers and companies for me. I have realized that there are huge demands from both economy and academy in increasing flexibility of the education system. The idea of glubal derives exactly from these demands. FTP: Studying for a master's degree takes about five years, often more. glubal is a private profit venture and as such is subject to the laws of the market. How can you guarantee that students will be able to complete their studies as planned in case of, say, glubal (or HighEd Solutions) becoming insolvent? MD: glubal is an aggregator of studies and does not grand degrees. glubal students will enroll in and enter study contracts with the chosen universities, and earning real credit points as every other normal student. In this sense, they don’t carry any market risks in terms of the possible fluctuation of glubal’s profitability. FTP: Can you tell about your network of educational institutions (universities, online course academies,...)? Which and how many partners does glubal have so far and where are they from, geographically? MD: glubal stands for global university network. We have been in contact with universities from the USA, Great Britain, Australia, Turkey, France, Iceland, Spain, Italy, Chile and of course the so-called DACH countries (Germany, Austria and Switzerland). Many of them are already official members and many other have given very positive feedback. We are optimistic that our network will successfully expand to these regions. We have also planned the market entry in BRIC countries in the future, starting with Asia in 2013. FTP: glubal offers scholarships as well. Can you tell a bit more about these? MD: We have already announced the first three scholarship students for a bachelor’s, a master’s and a doctoral degree at one of our first partner universities, the Steinbeis School of Management in Berlin. With the growing membership of our university network, applicants can expect more attractive scholarships at glubal in the future. FTP: What are your plans for the future? Where do you see glubal heading in the next 10 years and what do you think can (and should) still be improved about the system/process as it is right now? Can we expect more integrated services in glubal in the future? MD: Like I mentioned before, we are now already active in many countries. The intention of internationalization will increase in the future. We have already planned the market entry in the BRIC countries (Brasil, Russia, India and China) in 2013. Of course there are still a lot to improve in every aspect, for example a bigger university network, more personalized configuration, more optimized platform usability and so on. The driving force in our team is to provide high quality education with unprecedented flexibility to all students of the world. FTP: Professor Drüner, thank you very much for the insights into the concept on glubal. Much success!! In an extensive article in the NYT, Elizabeth Olson reports a number of interesting details on Build-A-Bear Workshop. This company is one of my favorite examples of mass customization, as it not just invented a new category and value preposition based on mass customization, but also is one of the premier examples of delivering process experience in an in-store environment. 2-3 visits of average customer per year to create customized animal or to buy outfits. 8 new technology stations in each store will increase hands-on engagement New “love me” touch screen where child can choose a heart for his or her stuffed animal. Other new options include customized sound chip and scents like chocolate chip or cotton candy that can be embedded in the stuffed animal!! My last article of Build A Bear's European Operations is here. In my wrap-up post about the MC2012 conference in june I mentioned Max Kickinger, a professional sound designer, or, better: sound brander. At the MC2012-Salzburg, he gave a very insightful and entertaining presentation about what professional sound design is, how it is being done and, most important, how it can majorly contribute to making your company stick out and being remembered in a positive way. Sound branding, to me, is one of these (actually not so) little aspects of marketing that sourrounds us every day, yet we never think about it. Things like the famous Nokia-ringtone come to mind, which was omnipresent until a few years ago. Nowadays, if a certain ringtone sounds, five people in the same room instinctively reach for their Apple smartphone. Just two examples of what soundbranding can do. Max Kickinger was kind enough to give us a pretty detailed interview in which he explains the concept in detail and stresses the importance of audible recognizability for all sorts of companies - including mass customization ventures! FTP: Max, at the MC2012 you presented the concept of soundbranding. Since certainly not everybody is familiar withthe exact implications of that term, can you, as a professional, give your definition of what sound branding realyis - and what it is not? MK: Sure! Soundbranding is a process of defining, creating and implementing a unique and recognizable soundprofile for a brand. Just the same as brands are used to do in the visual domain. Like most brands have a distinct typefont, colors,images and so on, we believe that every brand should have it's own sound. Having your own sound is an indispensable part of every brand. FTP: What can sound branding do for a company? Do you deliver more or less a recognizable jingle? MK: Well, it goes far beyond a single piece of music. Finding the right music in particular, for example a jingle, is an aesthetic process. Defining a Sound Identity for a brand is a much more strategic objective for the brand. This means defining ground rules how a brand deals with it's sound. The basic questions are: where does a brand sound, how does it sound and in which situations silence is more appropriate. We make sure, that everyone dealing with the brand has the framework for the right sound at the right time. FTP: Can you give/ do you know of any numbers/ examples of how soundbranding notably increased sales/revenues for companies? MK: Just think of T-Mobile Soundbranding for example. Their Soundlogo consists of two notes and is in it's shortest under one second long. With just one second of sound we, the consumers and listeners learned a whole set of values and propositions the brand stands for. Not that I am saying, that this comes all out of the Soundlogo itself, but the brand acted accordingly to combining it's sound to it's values. Something like this has to be built up and doesn't come overnight - so at first it is an investment into your brand, that pays of when it lowers your cost of music in the following years. Times are getting more complex. I think brands create orientation in a complex world. Having your customers recognize you in this world pays off for every brand. So I think it‘s not easy to say how much money let‘s say T-Mobile made by having a distint visual identity, but I can tell you it would be less if they hadn‘t. It‘s exactly the same with the sound. FTP: And how does the process work? Imagine I would ask you to sound brand my MC company, producing, say, customized handbags? MK: It would be a pleasure. The process workes in modules. First we analyse your brand soundwise. Where does your brand already sound and what does it sound like. Then we take a look at other brands in your market segment, because we sure don't want to sound like they do. Once we've done that together we work on the question "What do we want to sound like?" After these Soundworkshop there will be the creative compositional brief for the composers. In most cases this would be me or a team of talents, that are just perfect for a particular music style. Of course everthings gets documented in the Sound Guidelines and stored properly in your own Sounddatabase. So that everyone working on and with the brand is involved and informed how to get the right sounds for the right occasion. From that point on, we accompany your brand to check if everything works smoothly. FTP: How important do you think sound branding can be especially for our readers being interested in or professionals on the mass customization market? MK: It think brands are about the experience. First and foremost music is somehow the customisation of your life. Many people show who they are, by playing you their favorite music. Brands can open up to this and deliver customized music experiences for their consumers, that just fit's their taste perfectly. Of course also in a formal approach, that allows you to be still recognizalbe as a brand soundwise. FTP: Are there differences between a traditional company and an MC one in terms of sound branding? Do you recommend / have to take a different approach when it comes to designing and establishing their sound brand? MK: I think every brand or company has it's unique DNA. And companies can be a very complex thing. In every case the process of creating a Soundbrand is of course defined by the brand itself and in most cases it is only as good as the brand knows who they are and what they stand for. We make sure, that our process works fine in finding what makes your brand special and build something, that is unique to you. Of course there a numbers of possiblities, that you can open your Soundchannels for your customers. Just look at the example Nokia Own Voice. People can record there own and others voices for the commands of the navigationsystem on their mobile device. It's just a perfect example of how customziable sound and product go together. FTP: Many MC ventures are small(er) ones. Do you think sound branding can lead to a significant competitive advantage for small companies (MC and traditional alike)? Are the costs worth it, at that stage, so to say? MK: Even the smallest companies have sound - think for example of your voicemail on your telephone. Even if you are a one man or woman brand. When it comes to costs it of course makes a substancial difference if you hire us for a whole soundbranding or for creating the right tonality for your voicemail. FTP: What do you think about mass customization in general, will it be "just a trend" or become the business model of the future? MK: I think mass customization is a huge opportunity to give your customers the chance to be a part of your brand. In the end it is a good proposition to make, since you as brand always try to be a part of your customers life as well. So why not open up and give your customers the chance to do that? I think as a brand now more than ever you have to be relevant or useful to your customers and I see a huge set of opportunites for the mass customisation market to play a role in this endeavor. FTP: Max, thank you very much for this interview! It will be interesting to follow development in this field and I hope to write about some MC related projects of yours in the future. More information about Max Kickinger and your options when deciding to get your own sound branding can be found on the official company website. Although mass customization has proved to offer great opportunities to companies of all sizes, there also have been quite some failures. We will try to look into some of the companies that did not make it in a new series of posts. And there are many of these failures! When conducting the research for the MC500 study, we learned that over the period of just one year, 17% of our original sample population went out of business. Analyzing the failure reasons showed that these startups on the one hand face "common" challenges of startups like not progressing out of the bootstrapping phase into a scalable business due to undercapitalization, wrong investment policy, overconfidence, and an insufficient business model as well as problems within the team, such as the loss of key employees. First, difficulties encountered by the studied MC companies may be ascertained to possible inadequacies of their toolkits. Many of the toolkits that we studied do not follow the design principles suggested as success factors by previous research: Only 55% instantly visualize consumer input, less than 20% of vendors make use of peer input in the design process, 61% do not provide information on progress of purchasing process. Only 22% allow customers to share their creations with others, just to mention a few shortcomings. The reality of toolkits clearly falls behind the academic research on design parameters of successful toolkits, suggesting a large shortcoming in transferring research into practice. Secondly, problems in making mass customization work may also lay elsewhere. In an exploratory survey of 68 entrepreneurs and consultants active in the MC business (conducted in Oct. 2009), for instance, we discovered that detecting customer idiosyncratic needs and creating flexible fulfillment processes are considered as more serious concerns (average score=4.0/5 and 3.9/5) than creating toolkits that support the sales process (average score=3.5/5). This research, the preliminary results of the Customization500 study, and many interactions with managers during case-study based research show that profiting from mass customization is not an easy task! Two current examples have been the market for custom tailored men's shirts. The German MC blog egoo.de recently reported on two consecutive insolvencies of companies believed to be promising ventures. First company to be hit by bankruptcy was German start-up YouTailor, one of the leading entrepreneurs in the field of online custom tailors. Despite a number of potent backers like Holtzbrinck Ventures, Tengelmann Ventures and myphotobook, YouTailor CEO Michael Urban had to file insolvency mid-June caused by financial irregularities, as eggo.de reports. Just two weeks later, another mass-custom shirt company, SHIRTS ONTHEFLY, had to strike colors or, as egoo.de quotes the company's announcement, to declare "the mission to make high-quality bespoke shirts available for everybody" a failure. Very sad indeed, seeing how they had announced to team up with Berlin-based venture Upcload, enabling customers to measure themselves via webcam capture technology. May there be a trend indicating that custom tailored shirts are not very high in demand? Or may it be more likely that these two did not do one of the most important things when establishing a new MC company: Seek qualified expert advise and connect with other founders and MC entrepreneurs to share experiences. For the full stories about YouTailor and SHIRTS ONTHEFLY, head over to egoo.com by blogging colleague Heiko Vogelgesang! A while ago I posted about Pasterie, a promissing mass customization company offering individualized pasta. At the MC2012 conference their team gave us a great live demonstration of what they are able to produce. While definetly the novelty of custom pasta ordered online is much larger than a customized meal prepared in fornt of you, their demonstration was a nice blend of pasta-cooking expertise and aesthetical design. The live event however provided a good "offline configuration" experience as it (still ) is not possible to transport taste via the internet. But to see how they solve this problem, head over to their website or facebook page. Here are some impressions of their live performance at MC2012. While the Mass Customization "movement" originated in the United States, the German speaking world has long caught fire about the concept. Many companies are already employing it over here, be it as their main business model or "just" a side branch. For all those who want to update themselves on news and trends about MC in German language, my dear blogging colleague Heiko Vogelgesang will most likely have you covered on his very well-written and often updated blog egoo.de. Furthermore, egoo.de features a pretty comprehensive database of MC companies from around the world, often with a personal review of the products by Heiko. We had the chance to talk to Heiko about his blog, the experiences and observations he made during his years-long time in the MC community and his expectations for the future of individual customization. So read on for what egoo.de really has to offer! FTP: Heiko, your blog egoo.de is the largest mass customization blogs in German language, and one of the best in the world. Many people take it as an entry point to the MC world. When did your interest for MC spark up and what fascinated you so much about this topic that you decided to start your own blog about it? HV: My interest started with my first own shirt in 1999. I loved the idea of creating your own products. Nonetheless almost eight years passed unitl I realized that there is a lot of need of information. Beginning of 2007 I wrote an article with an overview of german Mass Customization Online-Shops on my private blog. I never had so many visitors on my blog before. So I researched about this topic and saw that there is no website which informs specific about this topic. egoo was born. After round a about 1 ½ years of planning, egoo.de started in september 2008. FTP: What exactly do you offer? What can consumers, scholars, managers expect to get out of a visit on your blog? HV: First, egoo is geared to end consumers. They can expect a "unique" database of mc-companies, interesting news about personalized products and special offers. But also scholars and managers will find a lot of posts with interesting news about the mc industry. FTP: And how does this work for companies wanting to be included into your database? Can one simply sign up and fill a questionnaire or do you hand pick them? HV: Yes, there is a simple way to sign up for free at http://egoo.de/shops/shop-eintragen. The principal goal is to have a complete database with ALL online-shops where you can customize products. To give the visitors an orientation there are hand-picked recommendations in the specific categories. FTP: Can you go a bit in depth about the benefits of your database for consumers in comparison to, say, just googling for MC companies? HV: Gladly! First of all the visitor gets an editorially approved overview over all mc-shops of his interest. eg. business shirts. Also, as i already mentioned, the visitors find in every category hand-picked recommendations. Additionally there are detailed information like pricing, shipping time, special offers and year of founding provided for most of the stores. FTP: With these services offered, your database needs to be and stay curated and maintained. How do you guarantee for up-to-date information about the companies listed in it? HV: In Germany we call it "Alle Angaben ohne Gewähr" [information supplied without liability]. ;) So there is no guarantee that all information are up to date at all times. But I check the information regularly and do my very best. FTP: All this work you invest into your blog and the database certainly costs a lot of time. How do you finance yourself, do your services cost money? HV: No, there are no costs for customer and no costs for shops. I try to finance this project just by ads. For example companies can buy display-ads, a highlighted position in the database or other special promotions. FTP: A more in general question: what do you think will the future of Mass Customization be? Will it just be a trend or the new businesacs model for all (or most) of retail? HV: In my opinion it quite clearly is a new business model for retail. But not for all. You'll never will successful sell customized bathroom tissue. At least in masses. But for the most retailer there is a lot of potential in mass customization. FTP: From your experience with all the companies you examined for your database: What are the major errors you notice being made by MC-companies and how do your think these could be avoided? HV: The major error was to think that to sell personalized products are easier than other ones. In the commodity boom of the MC trend in 2010, there were a lot of startups in Germany who tried to jump on the bandwagon. Many of them are closed again. E-Commerce isn't that easy. On the contrary: With personalized product you have to solve a lot of problems that you don't have with mass-products. FTP: How important do you rate the use of social media not only to promote ones MC-company but also interact with consumers to better position oneselve in the market? HV: Especially personalized products are very emotional. Customers put a lot of time to create their own product so they love them. That's the perfect requirement for sharing in social media. This advantage can be exploited by the mc-companies. FTP: Do you see any differences between smaller and larger vendors when it comes to MC? HV: The "small" start-ups are much more flexible and the most ones are really innovative. Some of them created completely new processes in production. The big ones are sluggish and need much, much more time to optimize their workflow or offers. Moreover I had the feeling that they are spoilt of the easy way to sell their mass-products. If there is a problem they stop the experiment mass customization or don't even start. FTP: Do you have anything planned for egoo.de? Are any new services or projects to be expected? HV: There are many optimizations for the directory planned. The next step is to persuade more vendors to provide a customer-friendly returning policy which will be signalized with an egoo seal and integrate customer reviews in the directory. FTP: Heiko, thank you very much! I am looking forward to your upcoming articles and to follow your next projects! And a note for anyone in the mass customization field: Support Heiko by cooperating with him, linking to his blog, and providing him with info and perhaps paid ads. As without a large consumer-focused portal, we will never shift MC consuption to a higher level! It shal provide a more comnpelling answer on teh question: Why is it necessary that privately owned cars are often used in a really inefficient way, by either standing around most of the time or being driven by only one person where four or more passengers could be transported. One solution to this could be more car pooling. The idea is not new at all and i being offered in most (if not all) major cities over here in Germany. However, it is kind of revolutionary that a major car company like Daimler starts a project aiming at getting people to do what is, by traditional means, not in a car manufacturer's interest in the slightest: Buy less "useless" automobiles by using an improved, automated car pooling model. Daimler, though, aware of their social and ecological responsibility, has just launched a platform that does exactly that: moovel. The concept is really simple. Moovel is availible either as a (free) iPhone app or via their website. Users can easily offer unused seat capacity availible during a car ride they are going to take, at a certain time and from one destination to another. Likewise, travelers in need of transportation can enter the time and places they want to go to and are instantly shown information about not only availible seats in privately offered car pool vehicles but also details on commercial rides by buy or tram offered by local companies. The best about it (especailly if you are used to the often tiresome information-websites of railway companies) is its ease of use. You literally do not have to invest more effort than it takes to alter one short sentense to your needs, by specifying when and where you want to go. The software does the rest, and beutifully so. Since this is a pilot project by Daimler, the service is in German language and limited to the city of Stuttgart, Germany, for now. If it proves to be successful, though, it might be adopted and coming to a place near you sooner than you think. So if you understand any German at all, I really recommend taking a quick look, its a concept that will be really interesting to watch evolve. More about moovel on their website. Today's expert workshop marks the beginning of the MC2012, largest OI and MC conference in German language. If you have been following my tweets and posts over the past weeks you can tell that we are all really excited about this event, and from the registrations we can tell that we are by far not the only ones. We are looking forward to a really great conference with all of you who will be there. And those who can not attend this time, worry not: I will give an overview over the MC2012 here within the next days. Together with my colleagues Fabrizio Salvador and Dominik Walcher, we have been given the opportunity to provide an extended overview on eight parts of various aspects of mass customization on the well-known innovation blog Innovationmanagement.se .Finally, the last episode has been published. The series consists of 8 parts, starting here. Adidas, major sports gear manufacturer from Herzogenaurach, Germany, is likely known to everybody around the globe. Since 2000, adidas has been engaging in the market for customized sportswear. Their mi adidas program offers convenient online configuration of your favorite clothing and adds some extra motivation to your sporting efforts. It has been one of my favorite case studies and examples of mass customization in my presentations. After 12 years of successful mass customization targeting individual athletes, adidas now took the next logical step, enabling not only the individual but also the entire team to design their own individual yet affordable uniforms. Mi adidas Team is the latest addition to the mi-family of adidas customization platforms. And from a business perspective, this may be the trigger to finally scale up MC at adidas. Configuration process on PC. Click to enlarge! Amateurs and professionals, youth and adults alike, from schools, universities, leagues and clubs can style a wide variety of footwear, apparel and accessoires. The team's crest, sponsor logo, player number or team name can be applied on the items which are also customizable by picking from 15 base colors. Sportswear you look and feel great in is one factor adding to your (perceived) victory chances, fan support is another. Well aware of the importance of your supporters, adidas also offers the option to customize a number of off court items for fans, coaches etc. In the spirit of good sportsmanship, adidas extends the idea of teamwork from the field to the computer: When you have created a design you are happy with, the configurator lets you share your concept with your teammates, management and sponsors via facebook, twitter, email or blog integration. Once the final look has been decided upon, adidas will ship your order to a dedicated adidas specialist retailer within 45 days. Mi adidas Team is currently availible for eleven sports categories (running track and field, running cross country, rugby, baseball, football, basketball, handball, volleyball, American football, TECHFIT® training and select Olympic sports) on 16 markets (USA, UK, Germany, Austria, Switzerland, poland, Czech Republic, Italy, Spain, France, Australia, New Zealand, Denmark, Sweden, Norway and Finland. For those who prefer old fashioned personal collaboration over online social media, mi Team has designed the platform with the use on mobile platforms in mind. It looks especially great on tablet PCs and allows you to design your new major league uniform right on your advancement party. Configurator demostration on a tablet PC. Click to enlarge! It will be interesting to observe how this rather large addition to adidas' customization portfolio will develop and which impact it will have on the market of (semi-)professional team sports goods. More about mi adidas Team on the official website. Moving from 1:1 customization to communities of users! This is still one of the first team customization sites. Building a multi-layered site that takes care of multiple stakeholders - players, equipment managers, coaches, moms, fans, retailers ... this is one of the best configuration systems in this regard I have ever seen! While the online cofiguration toolkit is "just" common good practice, I would say, this multi-stakeholder capability of mi adidas team is terrific! Re-integrating the (independent) retailer back into the MC system. For a long time, MC moved direct, and away from retailers. With mi adidas team, the site also provides great opportunities for individual retailers to customize a sales pitch for a local team, based on a local set of garments. By making independent retailers part of the system, Adidas may utilize these retailers as "brand ambassodrs" for customization. 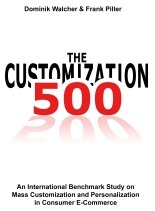 In our series of postings introducing companies that performend very well in our Customization 500 study, we are introducing the next mass customizer. Remember: The order of these feature postings is more or less randomly! Summer has finally arrived in Germany (somewhat) and as every year this means people are enthusiastic to spend some recreational time outdoors. Riding a bicycle is fairly popular here as in a lot of other countries (in the Netherlands, roughly one third of all trips are made by bike... biking in the Netherlands even has its own wikipedia entry...) and so many two-wheeled vehicles in different states of maintenance are being dusted off these days. However, as with all means of transportation, every now and then it's time to replace your trusted-yet-old bike with something more modern (and fancy). If this year's summer happens to be the beginning of your old bike's retirement, Mission Bicycle might be worth looking into for you. The California based company offers a simple-yet-convenient configurator which allows you to design the bike of your dreams from a large variety of availible parts. From the very basic frame to different handles, chains and even locks, most parts can be individualized in model and color. You can pick up your bike in their physical store in San Francisco, CA, or simply have it shipped to your doorstep in a multitude of countrys around the world. Including the Netherlands. Note: Please see this post for detailed information on how to interpret the above data. Did you already book your ticket for this year's edition of the MC2012, the largest German language conference on mass customization and open innovation? Many of you have and I seriously looking forward to meeting you again (or for the first time, respectively) to discuss the latest and greatest in MC and OI. To help you pass the time until the conference heads off on June 28th, here is a little preview on one of our exhibitors. Neben der eigentlichen Konferenz und dem Expertenworkshop bietet die MC-Conference Unternehmen die Möglichkeit, ihre innovativen Konzepte einer breiten Fachöffentlichkeit zu präsentieren. In den Räumlichkeiten der FH Salzburg stehen dafür großzügige Räumlichkeiten zur Verfügung, in denen wir auch in diesem Jahr wieder eine Reihe interessanter Aussteller begrüßen dürfen. Ein besonderes Highlight sind dabei die Livepräsentationen, also praktische Mass Customization "hautnah". 2012 freuen wir uns besonders über den Besuch der Pastaspezialisten von Pasterie. Das Team rund um Geschäftsführer Daniel Schneider wird mit einer eigenen Pastamaschine auf der MC2012 vertreten sein und die schmackhafte Produktlinie live vor Ort präsentieren. Wer danach Geschmack an ausgefallenen Nudeln und individuellen Saucen gefunden hat, kann seine kulinarischen Träume auf Pasteries Internetpräsenz hemmungslos ausleben. Über einen denkbar einfachen (aber optisch sehr ansprechenden) Konfigurator lassen sich Form und Zutaten der Wunschpasta schnell und einfach auswählen. Die gewünschte Menge Teigwaren kommt in einer attraktiven Hülle (auf Wunsch auch mit eigenem Bild und Grußtext) nach Hause. Wer keine genauen Vorstellungen von der eignen Traumpasta hat, kann sich auch von einer Auswahl vorkonfigurierter Mischungen wie "Afrika" und "Blütenstaub" oder, ganz im Zeichen der EM 2012, von einer "Europameister"-Pasta in verschiedenen landestypischen Varianten inspirieren lassen (und diese auch direkt bestellen). Regelmäßiges Wiederkommen kann sich lohnen, schließlich gibt es regelmäßig eine neue "Pasta des Monats". Pasterie und viele weitere spannende Aussteller präsentieren sich auf der MC2012. Mehr zu Ausstellung, Workshop und Konferenz auf der offiziellen Konferenzwebsite. Wir freuen uns auf Sie! Technology is something great. But at times, after a long day's challenging work, tied to computers, emails, cell phones etc. you might want to disconnect for a while. Sit back in your favorite chair and relax with a good book of your choosing. Not just any book, though. Your book. Your very own personal novel (or thriller, children's book....) in which you are the main character, a book personalized to read like it has been written just for you. PersonalNovel has been a pioneering company to turn this dream into physical reality, coming to you in the form of a nicely printed book, customized through an online editor to match the main character to your persona - or anybody else you would like to read about. I am especially impressd by PersonalNovels dedication to get also small details correct, and their innovative business model turning a simple product into a new value preposition. As promissed in my post about this year's MC2012 conference we will briefly feature each of the seven panels here. For more information on the entire program please see the official conference website. Since the conference is entirely in German language, this description also will be in German. Die Konferenz startet am 29. Juni mit dem Begrüßungspanel. Prof. Dr. Dominik Walcher leitet den Fachbereich Marketing und Innovationsmanagement im Studiengang Design und Produktmanagement der FH Salzburg und ist wissenschaftlicher Leiter des internationalen Forschungsprojekts "The Customization 500" der MIT Smart Customization Group. Als Organisator der MC 2012 übernimmt er die Eröffnung der Veranstaltung und stellt in seinem Vortrag die zentralen Ergebnisse der Studie vor. Dr. Christoph Ihl ist Habilitand am Lehrstuhl für Technologie- und Innovationsmanagement der RWTH in Aachen. 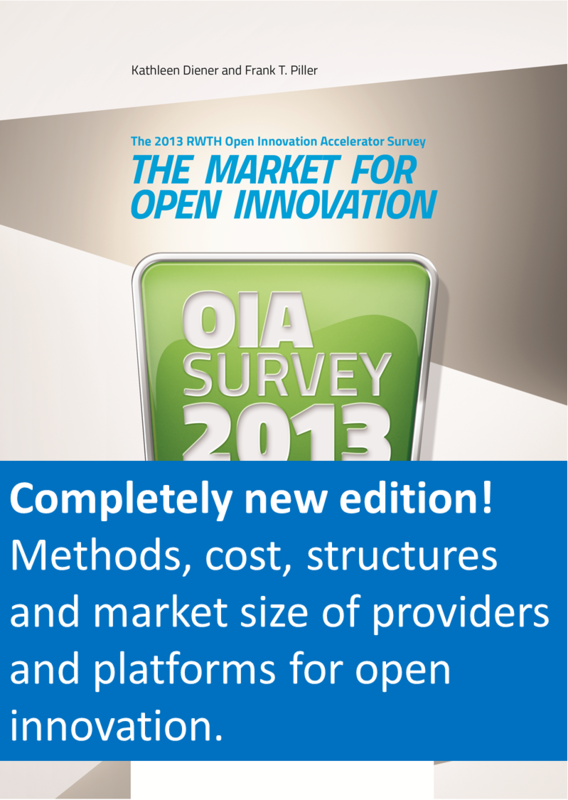 Seit Jahren forscht und publiziert er zu den Themen Mass Customization und Open Innovation. Seine Dissertation "Marketing for Mass Customization" wurde mit zahlreichen Preisen ausgezeichnet. In seinem Vortrag wird er über die grundlegenden Motive sprechen, warum Kunden Mass-Customization-Produkte kaufen und an Open-Innovation-Aktionen teilnehmen. Thorsten Harzer ist Senior Consultant bei der Boston Consulting Group. In seiner Dissertation beschäftigt er sich mit Erfolgsfaktoren von Mass-Customization-Unternehmen. Zu diesem Zweck hat er die Firmen der Studie "The Customization 500" befragt. Die Antworten der teilgenommenen 120 Unternehmen (Großfirmen wie Startups) lassen konkrete Schlüsse auf die zentralen Stellgrößen der MC-Branche zu. Prof. Dr. Frank Piller ist Mitveranstalter der MC 2012, Co-Autor der Studie "The Customization 500", Inhaber des Lehrstuhls für Technologie- & Innovationsmanagement an der RWTH Aachen und Gründer der Smart Customization Group am MIT. In seinem Vortrag fasst er die zentralen Punkte der voran gegangenen Vorträge zusammen und erläutert konkret, wie Unternehmen von Kundenintegration profitieren können.